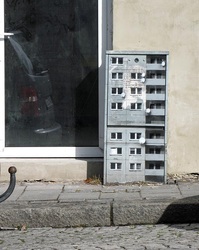 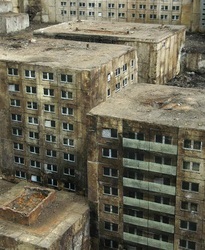 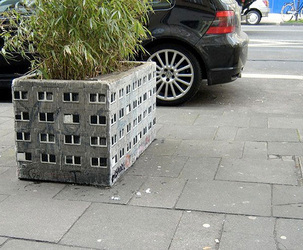 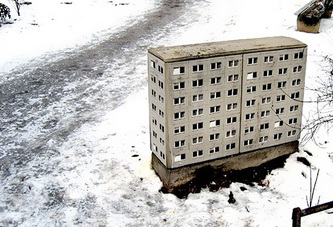 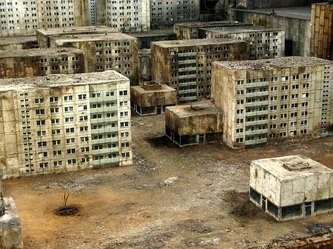 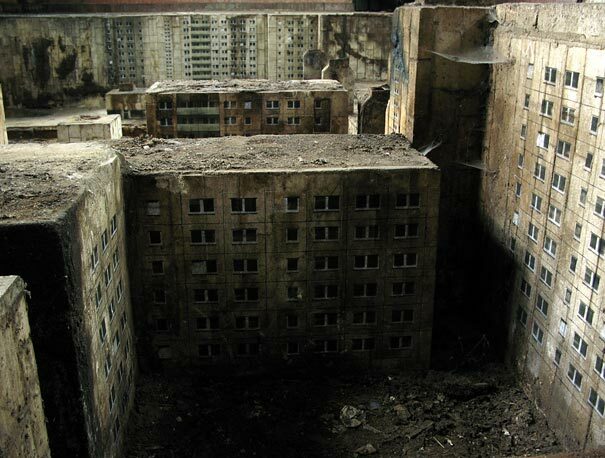 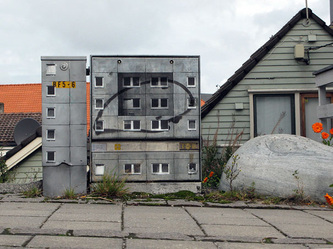 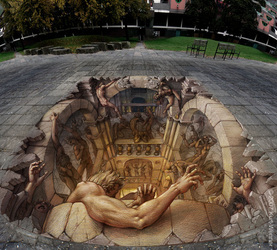 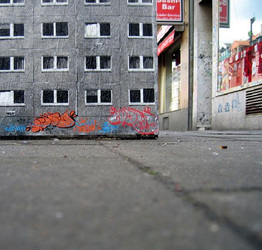 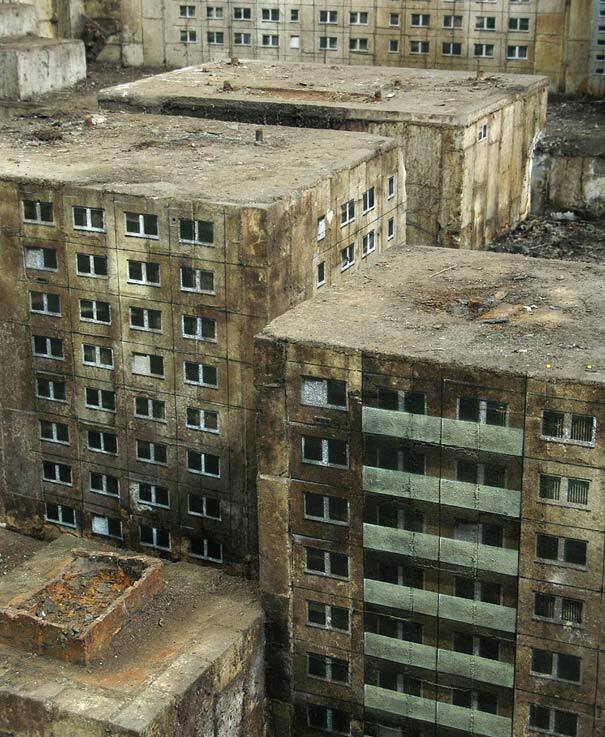 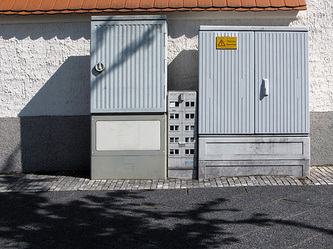 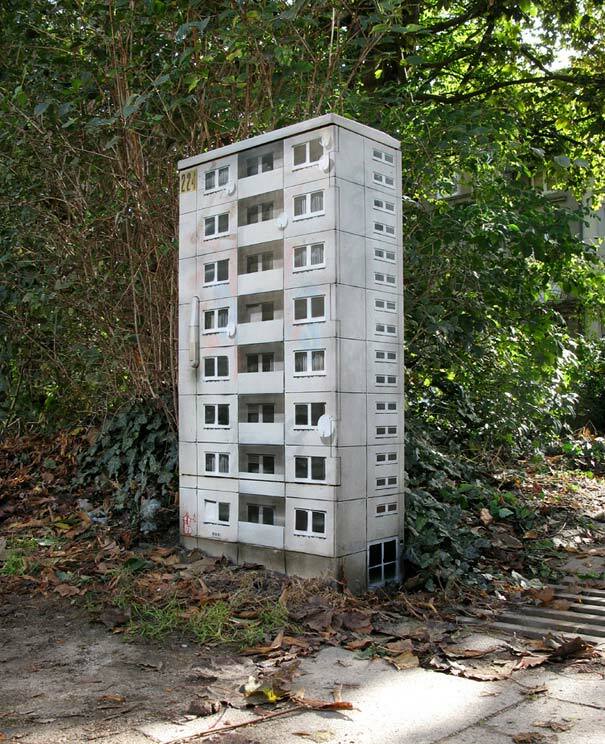 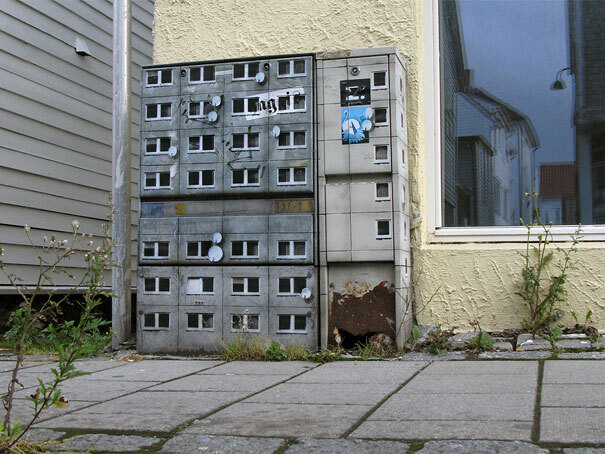 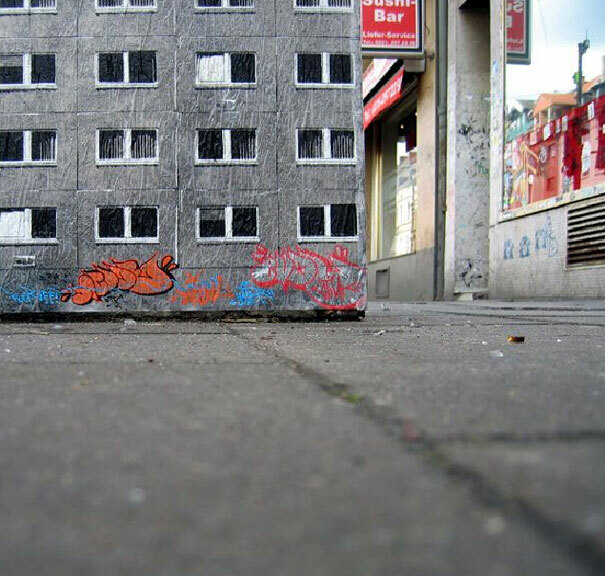 German street artist EVOL transforms common urban surfaces into miniature lifelike buildings. 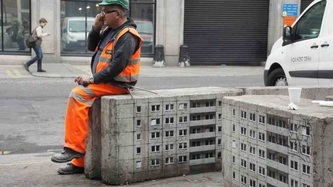 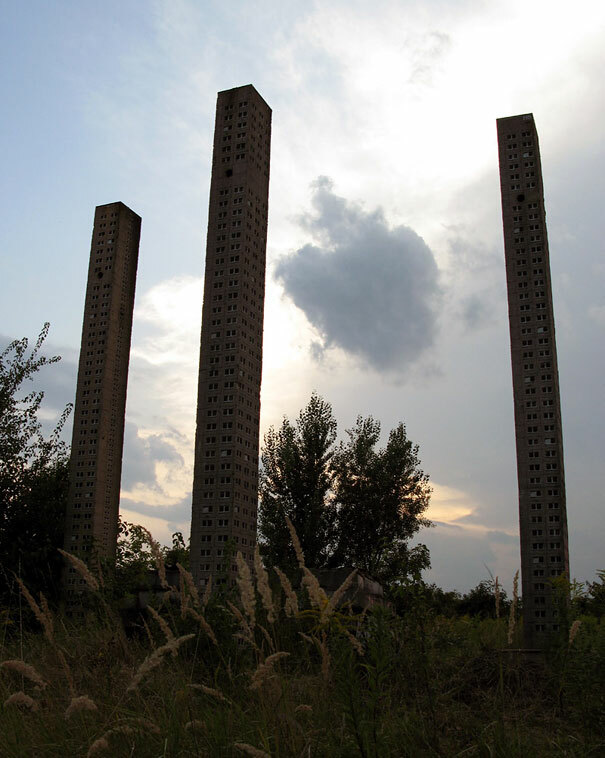 He is like an urban planner, but unlike the others, he creates a city within the city. 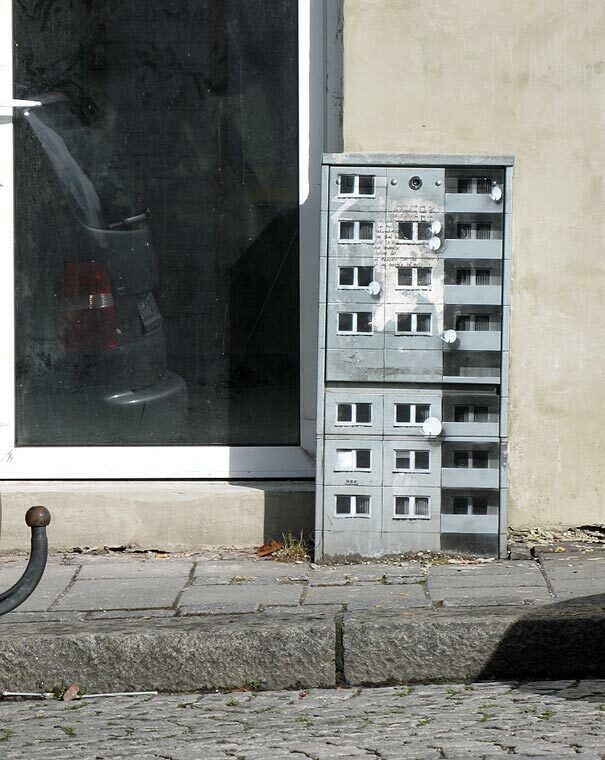 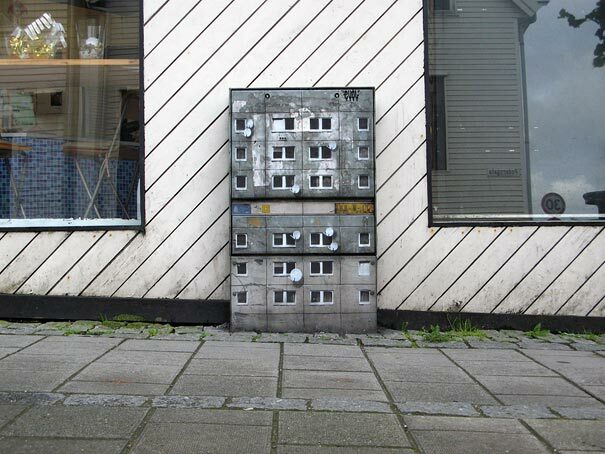 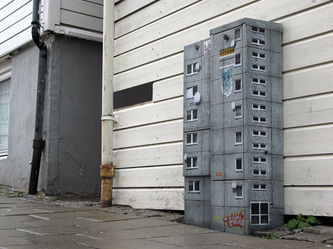 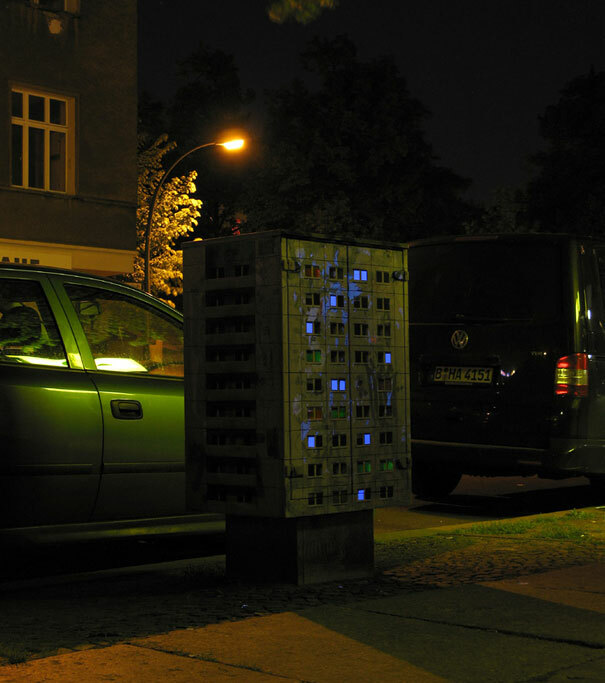 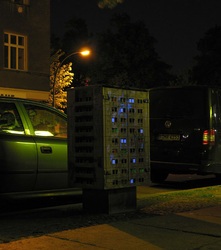 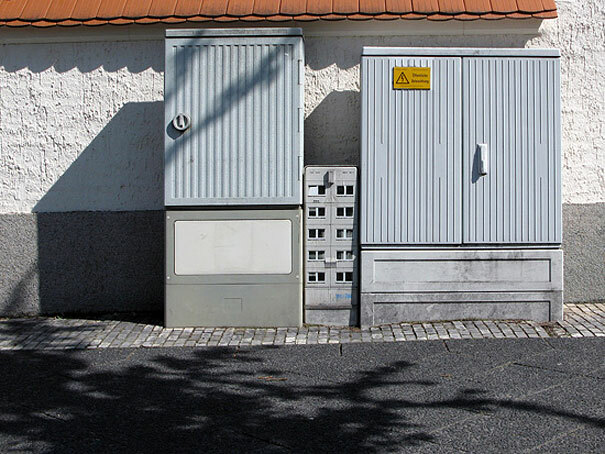 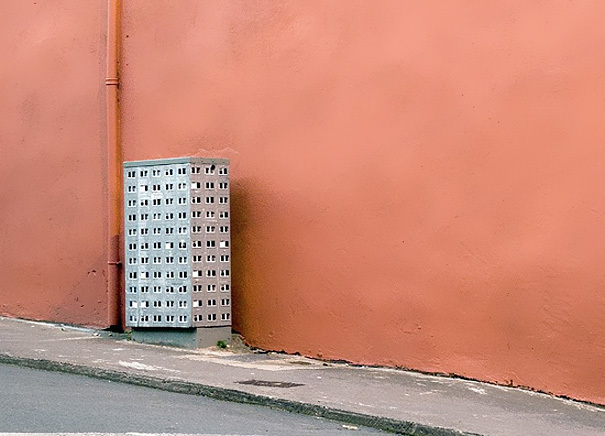 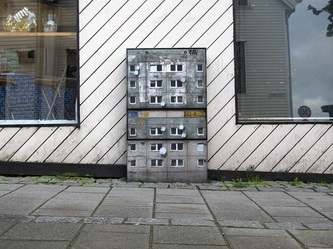 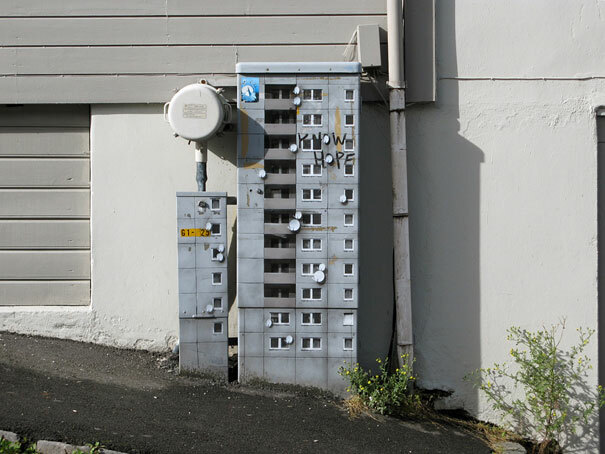 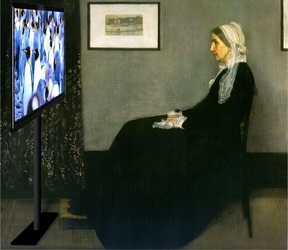 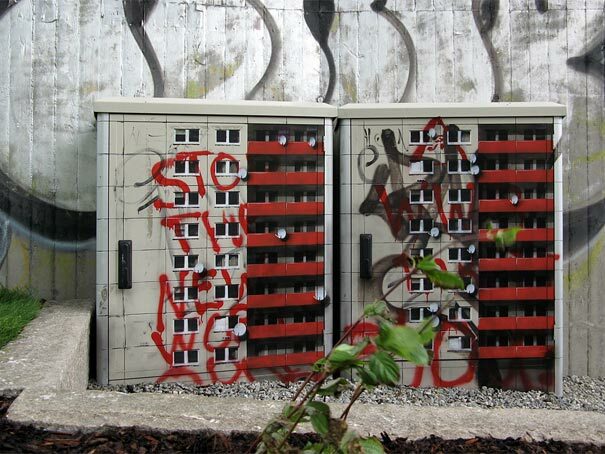 The artist uses complicated stencils to quickly transform powerboxes, and other worn urban surfaces into miniature apartment buildings or other structures. 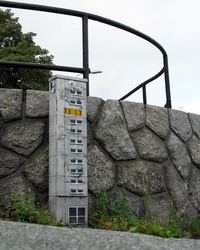 By drawing tiny balconies and satellite dishes onto the side of an electrical box, he is able to turn it into a realistic tiny skyscraper. 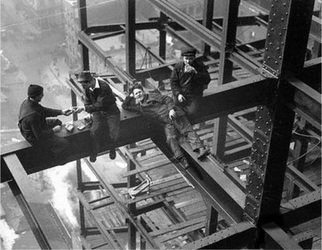 EVOL’s works are so precise that, when you’re glancing at photographs, it sometimes might be hard to tell that you’re not looking at pictures of real buildings. 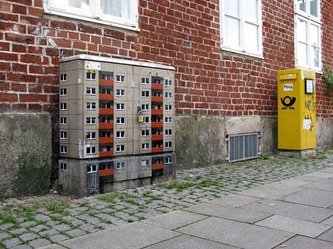 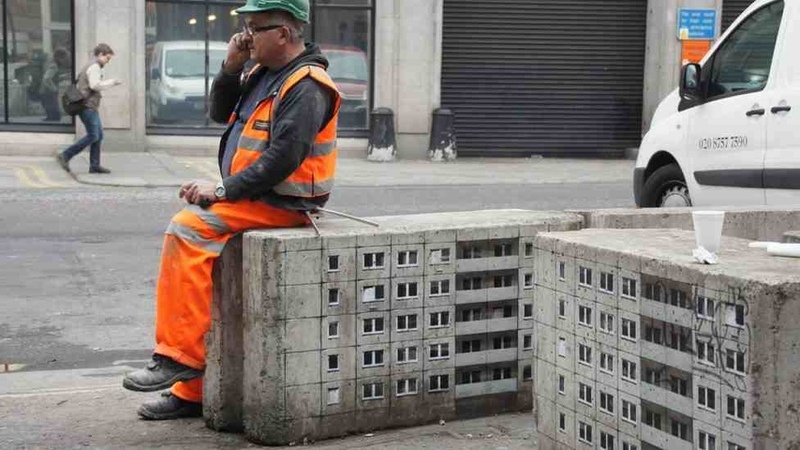 The artist creates miniature buildings within different cities and has even been commissioned to do installations in galleries, and while the police might not agree with this street art project, they probably enjoy the end result. 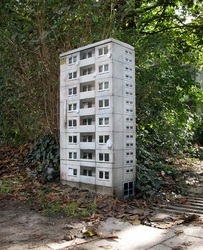 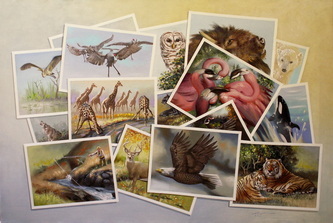 Other Galleries You May Like?